Place all ingredients in the bowl of an electric mixer fitted with a dough hook. Mix on medium speed until the dough forms a smooth ball that pulls away from the sides of the bowl. If the dough is too wet, more flour will be needed to avoid the excess moisture. If the dough is too dry, a few more drops of water will be needed to avoid it from crumbling. As the dough is mixing, adjust the consistency of it with additional water, wine, or flour to compensate for the variations from the ingredients used. The dough should look smooth and elastic, and be slightly moist to the touch. Gather the dough so it’s smooth, form it into a ball, and place it in an oiled bowl and cover with plastic. Let the dough rest at room temperature for about 30 minutes to an hour. Once dough has rested, cut the ball into 3 equal parts and cover each piece with plastic to avoid a skin on the surfaces. Working with one part at a time, flatten the dough with the palm of your hand and flour the dough with semolina flour to prevent it from sticking. Begin by guiding the dough through the rollers at the widest opening on the pasta machine. Reduce the setting as the pasta is rolled every two times, dusting with semolina at every few rolls. The pasta sheets should be thin, and should be rolled out to a setting of between 4-5 on a kitchenaid pasta attachment. 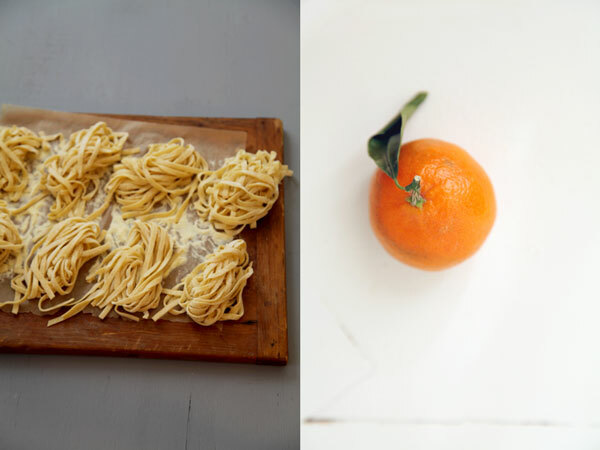 Cut the sheets of pasta with a tagliatelle pasta attachment and place the strands on a parchment paper lined tray floured with generous amounts of flour, making sure each strand of pasta is thoroughly coated in semolina to prevent them from sticking together. Repeat process with the remaining two dough parts. The pasta may be cooked fresh as is, or may be loosely formed into nests and allowed to slightly dry on a sheet tray to be used for later cooking. 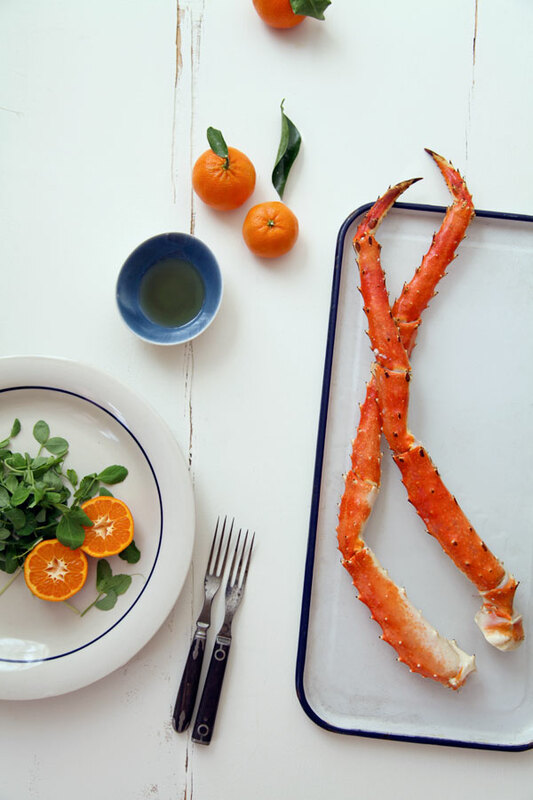 Clean the cooked king crab legs, and remove the meat from within the shells, trying to reserve as much of the liquid from the insides as possible. Reserve crab meat and liquid and set aside. 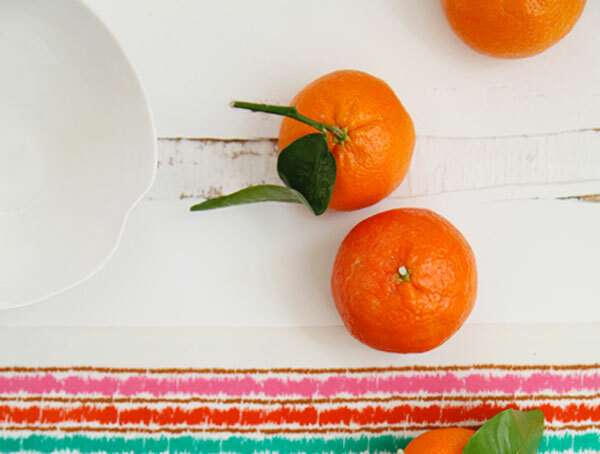 Optional: Slice two tangerines in half, season them with a dash of olive oil and kosher salt. With a grill plate over two burners on low to medium heat, place tangerine halves on grill plate and cook about 4 to 5 minutes on each side, ensuring grill marks are intact. Once cool enough to handle, remove the rind, and dice each halve into little wedges. Reserve. Meanwhile, bring a large pot of salted water to a boil. In a large saute pan on low to medium heat, add the butter, water, and lemon juice until butter has melted and mixture has emulsified slightly. Add the diced tangerines, serrano and red finger chili slices, and half of the crab meat and all of the crab liquid into the pan. Hold on low heat. Once pot of water is at a full rolling boil, drop in tagliatelle pasta strands and cook for about a minute. Remove pasta from water and drop into the saute pan with the warm sauce. Toss until pasta has been evenly coated. If sauce reduces down too far and pasta has soaked up sauce, add some pasta water to the pan. That will help loosen the lemon butter sauce and it will also help the sauce adhere to the strands. 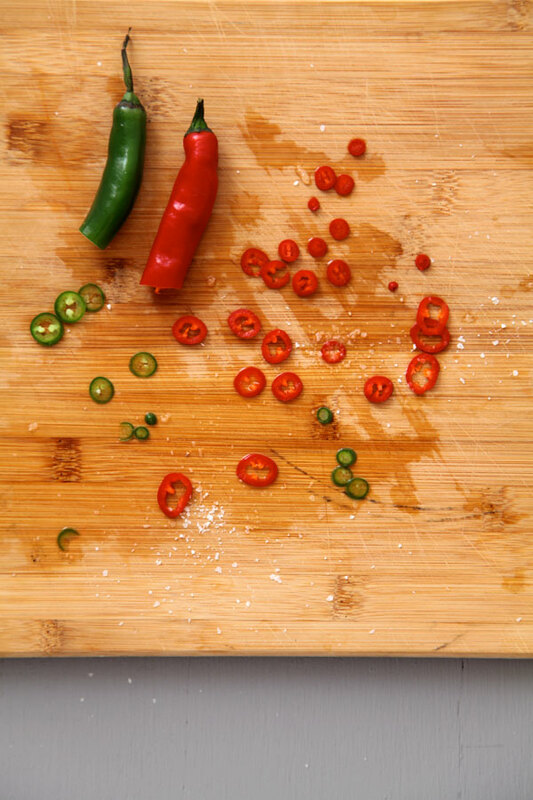 Taste for seasonings, adjusting salt and pepper. 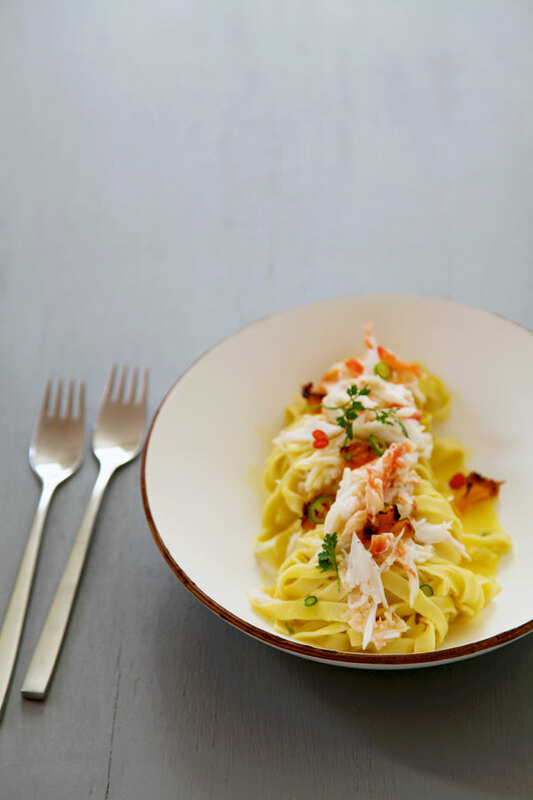 Portion out pasta into bowls and garnish each dish with the remaining cold crab meat, serrano chili slices, a squeeze of lemon, and sprinkle them with chopped parsley and chervil sprigs. Serve and enjoy! Note: The cold crab meat garnish on top of each portion adds a great temperature contrast to the dish. If garnishing the top of each pasta serving with crab isn’t desired, add the crab meat all at once into the saute pan when making the sauce. It all looks so good, so light and fresh and of the moment! I love the way you plated the pasta. You and that camera are darn good together! PS—I’m moving closer to your neck of the woods. I smell a collaboration cooking up. 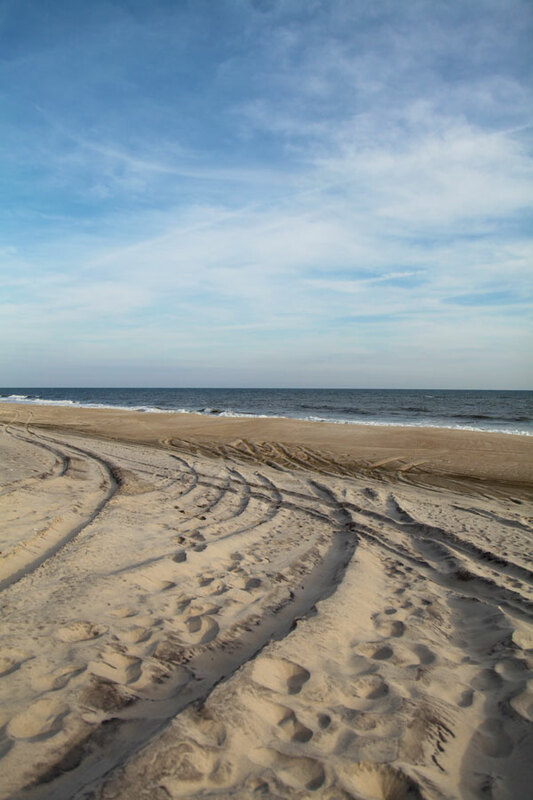 I just found your blog (thanks to the afore commenter thefauxmartha) and I have to say your photos are absolutely lovely! I don’t even care for crab and that dish looks delicious! Lovely pasta! And beautiful airy photos. Cheers. Wow! Beautiful! I love the crab with hot peppers! Wow wow such lovely comments coming my way! Thank you all. xoxo! This dish looks positively dreamy. 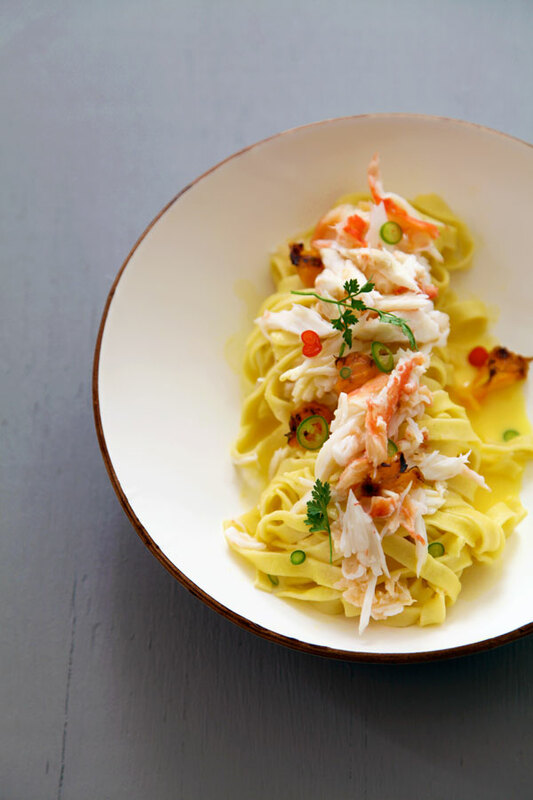 I love crab and pasta together. 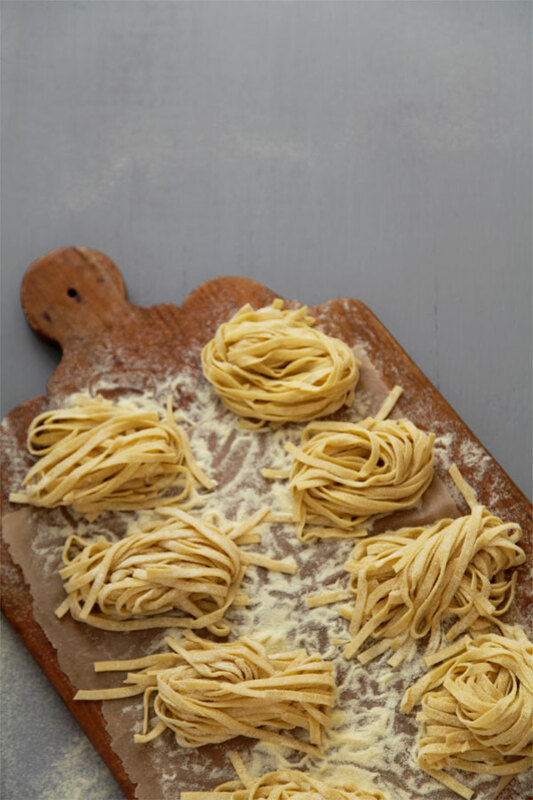 Those little bundles of pasta make me want to run to my pasta maker! I was happy to see you this past week. Your photo perfectly captures the wonderful flavorful combination of this recipe. Great post! I have to remember this for the next time there is sale on King Crab. One question. The second step is optional. How does not grilling them change the flavor of the dish?